Who would Jefferson have liked best: FDR, Reagan—or the Tea Party? Three new books look at Americans’ never-ending fixation with what our formative figures would want us to do. Americans have always looked back to the Founders, formerly “the Founding Fathers.” And why shouldn’t we? For all of their shared and respective sins, faults, and failings, which historians have been doing a pretty good job of exposing, they didn’t just decry tyranny in pamphlets and speeches. Defeating the greatest empire in history, turning 13 separate colonies into an independent United States, and endowing themselves, and succeeding generations, with rights, powers, and an exceptional promise of “life, liberty, and the pursuit of happiness,” they and their fellow citizens-to-be launched a world-historic experiment in freedom, equality, and democracy. And ever since, generations of Americans in all their diversity have sought to lay claim to America’s promise against those who would deny it. Whatever my reservations about some of them—for they were a diverse crew—I have always admired the Founders, possibly because my parents almost named me Hamilton, but most probably because even as a boy I came to see 1776 through the labors of Thomas Paine, especially his revolutionary pamphlet Common Sense (and I dare you to read it and try to deny the democratic impulses you feel). And yet I really did not attend seriously to the Founders until Ronald Reagan did his best to hijack the lot of them to the right, most outrageously, my hero Paine. In fact, it was Reagan’s use and abuse of the past that inspired me to turn from international to American studies. Moving into U.S. history in the 1990s by way of the American radical tradition and a young-adult biography of Paine, I could not help but notice how the Founders—from those who fought in the Revolutionary War to those who composed the Constitution and Bill of Rights—were turning up everywhere. It seemed as if we were suffering from “Founding Fathers’ Fever”. Publishers were releasing new American Revolution narratives; new biographies of figures from the beloved George Washington to the despised Benedict Arnold; new studies of the Founders’ religious beliefs, scientific interests, political ideas, and sexual proclivities; and new histories “from the bottom up,” revealing how workers, farmers, slaves, and women, not lawyers, merchants, and planters, had made the Revolution truly a revolution. Nor was that all of it. Graphic novels were appearing. Hollywood produced not only The Patriot starring Mel Gibson, but also The Postman with Kevin Costner, a post-apocalyptic film that projected the “re-founding” of the nation. Broadway saw a revival of the show 1776. And every new political text looked anew at the nation’s founding and its legacies good and evil. I was not immune. I clearly recall that on the day I turned 50 in 1999, I told my class of 120 freshmen that it had suddenly occurred to me that we really were not so distant from the Revolution and that Paine’s 1782 argument that it was “too soon to write the History of the Revolution” was probably no less true 200 years later. As I explained it, a mere five of me laid out head-to-toe in time would take us back to before 1776! Our “fever” intensified in the 2000s and pundits began to speak, somewhat dismissively, of “Founders’ Chic”. But most missed what was happening. We were anxious—anxious about the state of the nation—and we were doing what we had always done at times of crisis. We were looking back, back to those who most powerfully expressed what it means to be an American: the Founding Generation (and concurrently, the Greatest Generation). Now—as the new hip-hop musical Hamilton heading to Broadway—public interest in the Founders has hardly abated. But how could it in view of the 9/11 attacks and two brutal Asian wars; the Great Recession; ever-widening inequalities of wealth and power; state surveillance and police violence; and a political divide that promises little relief? The struggle for America—and American memory and imagination—continues. New books by history professors Andrew Burstein of Louisiana State University, David Sehat of Georgia State University, and Andrew Schocket of Bowling Green State University look critically at our fascination both past and present for the Founders. In Democracy’s Muse, Burstein reviews both how presidents from Franklin Roosevelt to Barack Obama have harnessed the image and words of Thomas Jefferson to bolster their respective campaigns and initiatives and how recent scholars and schemers have grabbed hold of Jefferson’s words and memory to do battle over questions of race, science, and religion. Burstein writes engagingly and, at times, quite entertainingly. Unfortunately, he could have better developed the book. He provides no introduction to Jefferson himself, but jumps right into 20th-century history and fills in references to the “real” Jefferson along the way—which might be OK for a scholarly audience, but for lay readers it’s too ad hoc. And while he attends to both presidential and authorial rhetoric, he not only fails to provide enough context for his stories, but also to treat how popular movements other than the Tea Party have harnessed Jefferson to their causes and may well have shaped the thinking and speechifying of the respective presidents. Moreover, he should have articulated the two distinct parts of the work—on presidential politics and the culture wars, respectively—in one dynamic narrative. He begins by relating how FDR turned Jefferson—who, due to the persistent power and influence of Southern Democrats, had long “stood” for states’ rights, limited government, and democracy (in Dixie, “white” democracy)—into not just a nation-builder (which he was by way of the Louisiana Purchase), but nothing less than a backer of the New Deal welfare state. As Burstein acknowledges, he wrote his book in the shadow of the classic 1960 work The Jefferson Image in the American Mind, in which Merrill Peterson offered an excellent chapter on the FDR years. That said, Burstein himself crisply recounts how FDR fashioned his New Deal Jefferson not just by regularly quoting Jefferson in his speeches from 1932 to 1945, but also by determinedly arranging for Jefferson the Democrat to join the pantheon on the National Mall with his own memorial. 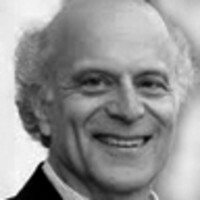 And yet, because he makes no reference to how progressive movements laid claim to Jefferson to do battle with conservatives and corporate bosses, Burstein does not relate how Roosevelt cultivated a democratic Jefferson to not simply bolster the case for a new liberalism, but also to encourage democratic struggles from below. Burstein has the most to say about Republican Ronald Reagan: “Not since Roosevelt had a president so clearly, so extensively, identified Jefferson as his touchstone.” But as he explains, Reagan did his damnedest to turn FDR’s Jefferson upside down. His was the Virginian that Southern Democrats had long revered—the Jefferson of states’ rights and limited government. Burstein rightly recalls Reagan’s speech at the Jefferson Memorial on July 3, 1987, in which the president, citing Jefferson’s inspiration, called for an “Economic Bill of Rights” to protect business and working people against the regulations and taxes of an “overbearing government.” It was a direct assault on the memory of FDR’s pronouncement of the Four Freedoms—freedom of speech and worship, freedom from want and fear—and his ensuing 1944 proposal for a social-democratic “Economic Bill of Rights”. In The Jefferson Rule, Sehat recounts how for 200 years and counting America’s political and intellectual elites have not simply looked to the Founders for inspiration, but felt compelled to articulate their respective governing visions, political arguments, and policy initiatives in terms of what the “Founding Fathers”—despite their many political differences—would supposedly say to and demand of Latter-Day Americans. Sehat writes masterfully of American political history and he never fails to explain his arguments (you don’t have to be a historian to read The Jefferson Rule). Even if I do not subscribe to his thesis, I was impressed by how clearly he narrates the political battles of the 1790s between Alexander Hamilton and the Federalists and Thomas Jefferson and the Republicans (Democrats) and then proceeds to show how Jefferson, for all his talk of “We are all Republicans, we are all Federalists” in the wake of his election victory in 1800, actually set out not only to politically eradicate the Federalist party, but also to dictate a “Republican orthodoxy” and an American narrative to govern national politics, public debate, and public memory and imagination thereafter. Sehat’s retelling of American political history by way of the Founders’ hold on political discourse makes for a good read. But even more than Burstein, Sehat writes from the top down and leaves out what the American people themselves had to say about the Founders along the way. In fact, there is barely a reference to “We the people” and what we may have thought and done. At one point I thought he might open up his narrative. Writing of Henry Clay and John Quincy Adams in the 1820s, Sehat says: “The electorate revered the Founders. Clay and Adams understood that, when facing political criticism, the best rhetorical tool in order to justify their choices and to diffuse political pressure was to drape themselves in the supposed founding principles.” But Sehat did not. Which left me asking: Why and how did the electorate “revere” the Founders? A good strong dose of history from bottom up and a firmer grasp of the push and pull—excuse me, the dialectic—between leaders and citizens would have made The Jefferson Rule far more compelling. I also think that Sehat oversells his case. He portrays our devotion to the Founders as if it has been a continual deterrent to effective public debate and action. For example, a few pages later, he states: “[Adams] could not expand the boundaries of the possible if he had to continually pay obeisance to the Founders, as though all the answers to the future were to be found in the past.” And yet, as Sehat seems to appreciate, later presidents, most notably Abraham Lincoln in his battles with Southern slavery and FDR in his battles with the Great Depression and fascism found the Founders’ words and memory democratically empowering. Furthermore, even if Jefferson did succeed in doing in the Federalists, it does not make him responsible for 200 years of politicians’ rhetoric, not to mention entrapments. In fact, whatever constraints Clay and Adams experienced in doing so, when Americans have looked back to Washington et al. and drawn on their words and examples they have not necessarily gotten trapped. Some get inspired, others encouraged, and still others get angry and outraged, for the words of Common Sense, the Declaration, the Preamble, and the First Amendment are also ours, to interpret, to articulate, to criticize, and to use in arguing about the past, present, and possible futures. When Sehat asks us to give up our obsession with the Founders—“Would it not be better to have a more forthright political debate, one that avoided the historical inaccuracy and the blatant political propaganda that often come with an invocation of the Founders?”—all I can say is, Hell no. And in any case, better the Founders and their words than many another set of authors and their texts. In Fighting Over the Founders, Schocket ­surveys contemporary Founders’ Chic from political battles high and low to historiography, historical museums, Hollywood productions, and historical recreations and re-enactments. Though he fails to attend to the fight for Paine’s memory, I really enjoyed this book. Schocket knows his history, did his homework, and spent time working as a “public historian” and talking to both visitors and re-enactors. Schocket looks at the contest over the memory of the Founders and the Revolution by way of two current strands of thought—“essentialism,” which most often marks the work and arguments of conservatives, and “organicism,” which more regularly characterizes the labors of liberals and progressives—and he does not fail to reveal his sympathies for the latter. As he explains, whereas essentialists basically assume that “there was one American Revolution led by demigods, resulting in an inspired governmental structure and leaving a legacy from which straying would be treason and result in the nation’s ruin,” organicists “think… there are many pasts that may share elements but no one fixed truth… and believe that Americans are ever in the process of trying to complete a Revolution that the founders left unfinished” (and I should note that—based on my Thomas Paine and the Promise of America—he rightly dubs me an organicist). Given all the territory he had to cover, Schocket limits the years of the founding to 1765-1789 and his exploration of our current Founders’ Chic to its manifestations in 2000-2012. Both choices are readily understandable, though in the latter case it leads him to mistakenly associate it with 9/11 and the surge of patriotic spirit it engendered. He’s not exactly wrong, for 9/11 definitely did contribute to it. But he misses the fact that it first took off in the 1990s.